Today, the United States maintains a near monopoly on military drone technology, with only Israel and Britain also deploying these systems. But the landscape is rapidly changing. 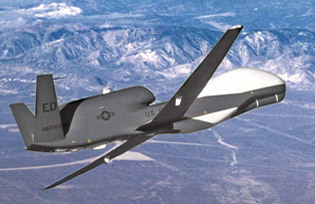 As David Cortright at the University of Notre Dame points out, more than 50 countries are developing or buying drone systems, including China and Iran, and even non-state actors want in on the business. The United States is now using drones to patrol borders and collect information about Mexican narcotraffickers. U.S. law enforcement agencies are also eager to use the technology against criminals on U.S. soil, with Texas sheriffs leading the way. Unmanned drones are already used in Japan, Australia, and other countries for such civilian activities as crop dusting and lifeguarding. Here’s but one example. Back in June, Obama’s top counterterrorism advisor John Brennan announced that drone strikes haven’t resulted in any civilian casualties over the past year. “There hasn’t been a single collateral death because of the exceptional proficiency, [the] precision of the capabilities we’ve been able to develop,” he said. That’s more than 600 militants killed since May 2010 and not a single noncombatant among them. The drone war is finally making people in high places in Washington uncomfortable. “The U.S. government simply cannot arrogate the right to wage an endless, global war against anyone it deems a threat to national security,” writes Paul Miller. “The prospect of such a war should trouble anyone who has the least acquaintance with history or political philosophy.” Miller, who was responsible for Afghanistan policy on the National Security council from 2007 to 2009, believes in drones and their efficacy. He’s simply concerned that the administration has committed itself to a war without limits — what used to be called the “global war on terrorism,” a phrase the Obama administration has retired rhetorically but continued in practice. These changes, of course, don’t remove the CIA from the assassination business or establish a definitive end date for the drone war. But the logic of drone technology – and its rapid proliferation – will soon prompt a more radical rethink. After all, the Pentagon wanted the United States to abide by the Geneva Conventions not because of a sudden conversion to human rights advocacy, but because of a fear of what other countries might do to U.S. soldiers. And U.S. officials eventually came to understand the usefulness of arms control not out of a commitment to world peace, but because the Soviet Union had acquired a sizable and quite dangerous arsenal of its own. Today, former Cold Warriors George Shultz and Henry Kissinger support the eradication of nuclear weapons, because proliferation has shifted the balance of power and the United States is less safe in a world full of these weapons of mass destruction. Judging by the rapid adoption of drone technology, it won’t take long before the balance will shift again, and we early adopters will be hoisted by our own petard. The precedent we set today by ignoring international law and taking out whomever we deem guilty will be one day used against us. So you’d better get ready for a world in which it’s not just people “out there” who must suffer from the omnipresent whir in the sky. We thought that we would always be the hand on the joystick. But even in video games, tables turn, and the hunter becomes the hunted. Perhaps a foreign country doesn’t like your criticisms of its human rights record. Perhaps another country thinks you’re a terrorist. Better watch your head. We will continue to develop technologies to keep ahead of the curve. But drones are a game changer. They herald a democratization of destruction. And that soon-to-be-developed Clear Skies app won’t protect us, any more than the schoolhouse desk protected earlier generations who got down on their hands and knees to escape the fire from above. President Obama just wrapped up his swing through Asia with news of a new opening to Burma, where Secretary of State Hillary Clinton will visit next month. The trip started with the Asia Pacific Economic Cooperation (APEC) meeting in Hawaii, which was the beginning of what the administration has billed as a Pacific pivot after a full decade focused on wars in the Middle East. As the supercommittee comes up against the deadline for a compromise on debt reduction, boosters of Pentagon spending are mounting a campaign to remind voters that the military budget translates directly into jobs. FPIF senior analyst Mark Engler provides a detailed policy report this week that tears apart this argument. On a final note, World Beat was featured on NPR’s Weekend Edition this last weekend. If you want to hear the conversation with Linda Wertheimer about “Is Europe Over?”, follow this link. This article is licensed under a Creative Commons Attribution 3.0 United States License.